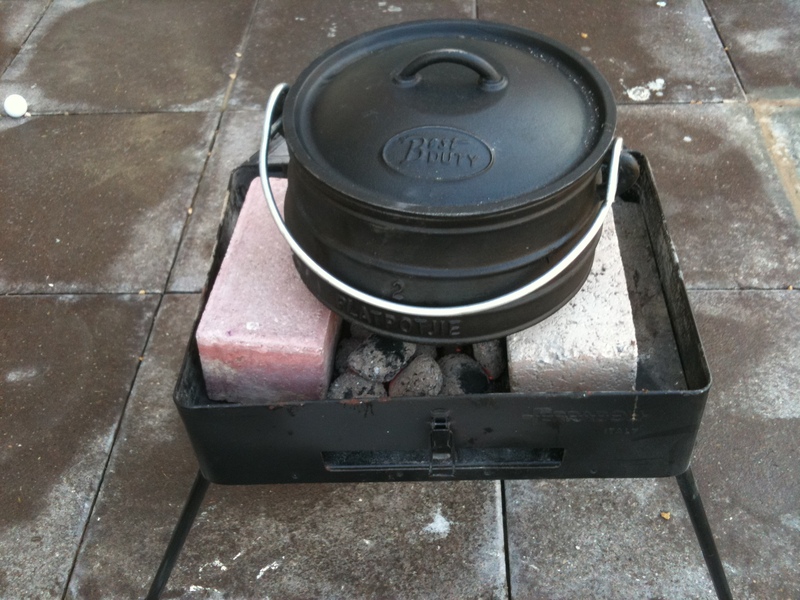 The Lamb Shankjie | What a Potjie! Unless we just got a really bad pot from the Organic Store in Dubai, don’t listen to people when they say it takes few hours of cooking leafy vegetables and pot will be ready. After 48 hours of cooking vegetables, pork belly, salt and oil several times (the last one resulting in a fire in the pot!) we thought we were ready. The “Italian” barbeque was brought out, fire was made, couple of trips to the park to find some bricks to put our flat bottom potjie on and the excitement was building for our debut Potjie in the desert of Dubai. 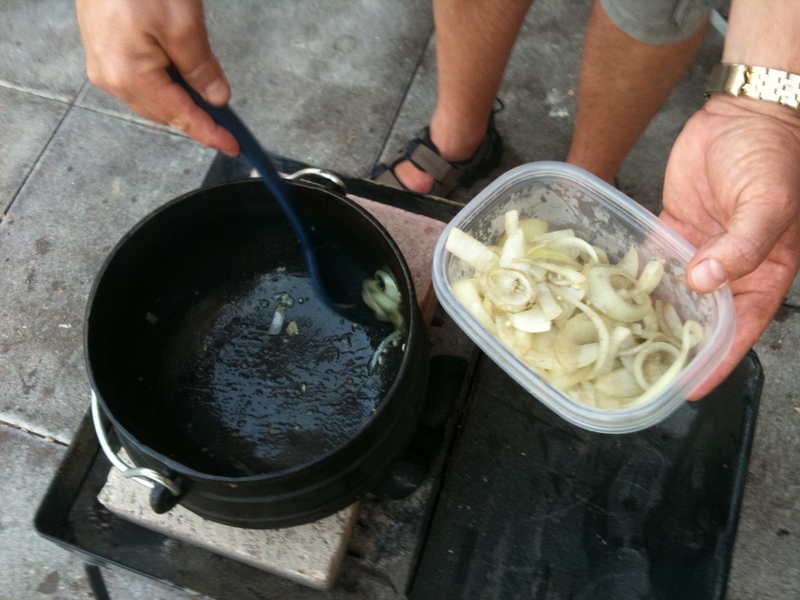 Veggies were then cut up and onions and garlic put into the pot and alas, the onions went black!!! Was this it, the pot was a dud. But then we thought back to the days of the Voortrekker and they would never have given up that easily so back to the sink we went for round 33 of cleaning (No chemical was spared in the cleaning process from Clorox to Jik to Sunlight) and the saying many hands make light work was put to the test with everyone having a scrub. And so the “onion test” was done again, this time not too bad so after 1l of vinegar was added to the pot, and by the time the third onion hit the pot (followed by the 6th beer in the belly) we said to the hell with it and lets get on with the cooking. What doesn’t kill you only makes you stronger they say. What followed was an unbelievably fun evening with Pieter the Potjie master guiding me through every step of the way and adding a little trick here and there. 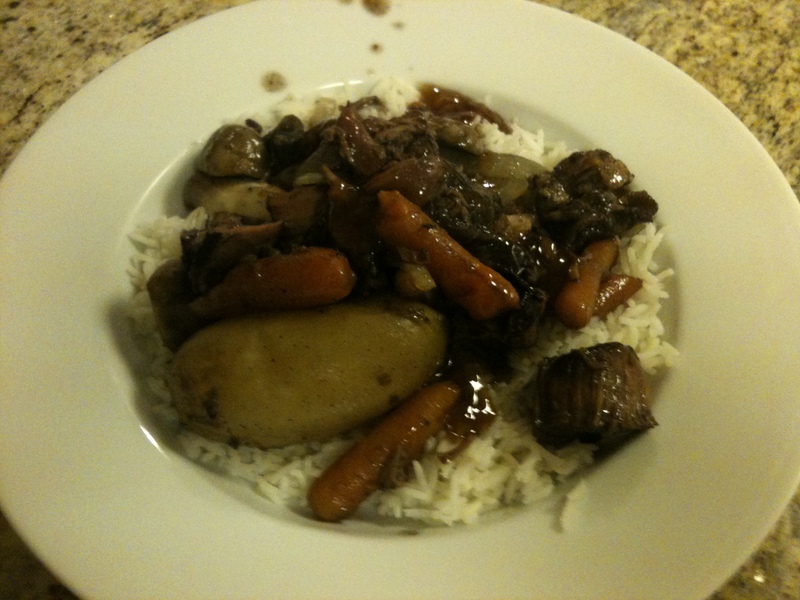 The recipe which will be posted under the recipe section (with pic by pic analysis) was simple yet unbelievable delicious (Slightly darker than expected:), but no doubt the art of slow cooking in a Potjie Pot is a skill every aspiring cook should learn. From a social aspect is puts the good old Braai or BBQ for the rest of you to shame. Where in those cases it is a great social occasion for the boys to sit around a fire and braai some meat which can take the good part of only half an hour, with a Potjie it is up to 4 hours of great banter with everyone included in the mix and something we will be doing on a regular occasion going forward. Banter: 5/5 Taste 4/5 Presentation3/5 (1st time with Potjie Pot so food slightly coloured) Nutrition (3.2/5) – Only because Lamb Shanks slightly fatty but all great nutritious food.